A Blogaversary and a Giveaway! Five years ago life threw me a major curveball and my doctor gave me my second cancer diagnosis. I found myself with a diary full of doctors appointments, a surgery that left me walking like an Egyptian, a stay in isolation and a respectable score of 6 on a Geiger counter. My brain was so busy. My hour long weekly tete a tetes with my psychologist weren’t nearly long enough to empty all the thinks I was thinking out of my brain so one day, I decided to start a blog. Just like that. I was in hospital and in isolation when the word tsunamis started coming and once I started writing I just couldn’t stop. Of course, I actually had no idea of what and how to blog but I wasn’t going to let that get in the way of my words. David built the blog, I wrote it and my mum read it. That’s kind of how things panned out. I’ve actually lost count of how many times I’ve wanted to delete those early posts because each of them come with a major cringe alert, but then if I hadn’t written those posts, I wouldn’t be where I am now. 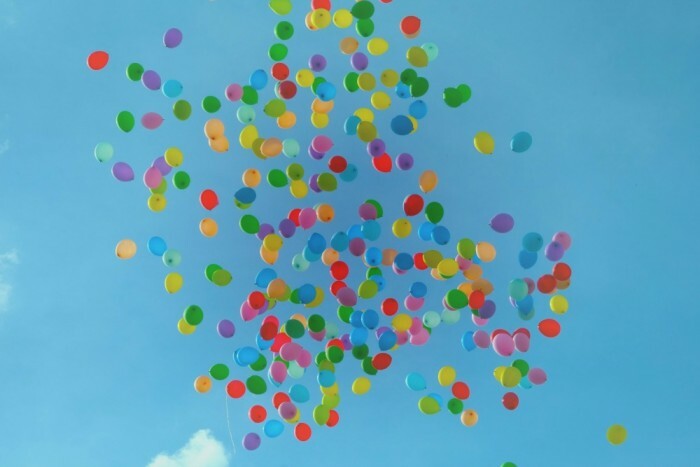 Fast forward to now… five years and here I am still alive, kicking and blogging. I can hardly believe it myself because sticking to things isn’t really my strong point. I come unstuck to things very easily, unless it’s marriage, Australia or as it turns out, blogging. There have been some amazing highs. I’ve met some incredible humans and had some magical experiences, all because I blogged. But what goes up must come down, and the lows are those 371 times I’ve thrown my toys out of the pram and begged to David to take my blog down because it just doesn’t have a point. But actually my blog does have a point. It’s just me taken five years to work it out. What can I say? I’m a slow learner. The point is I started writing because I needed to empty my brain. Nothing’s changed. I’m still writing because I need to empty my brain. Only now my brain is full of other things. Plus I have to empty my Thermomix too. I have to remind myself that when I started blogging, I didn’t write to make money or increase traffic, wrote because I liked it and it made me happy. Nothing’s changed, I’m still writing because I like it and it still makes me happy. Life is so weird. Isn’t it funny what a difference 5 years makes – same but different. Starting a blog was one of the best things I’ve ever done. Sticking to the blog was one of the best things I’ve ever done. I’m glad I didn’t come unstuck. And if you’re still here, thank you for sticking with me and making this such a fun place to hang out. Now this is the fun bit where we celebrate with cake… And thanks to the lovely Vicki at A Box Of, there’s also a giveaway! Wouldn’t you love to have this beautiful Box of Sun & Shine delivered to your doorstep? I know, I would! Now this isn’t any ordinary giveaway. A Box Of is Vicki from Boiled Eggs and Soldiers fame, brand new and most excellent business venture offering bespoke gift boxes that have been thoughtfully curated with love and kindness. 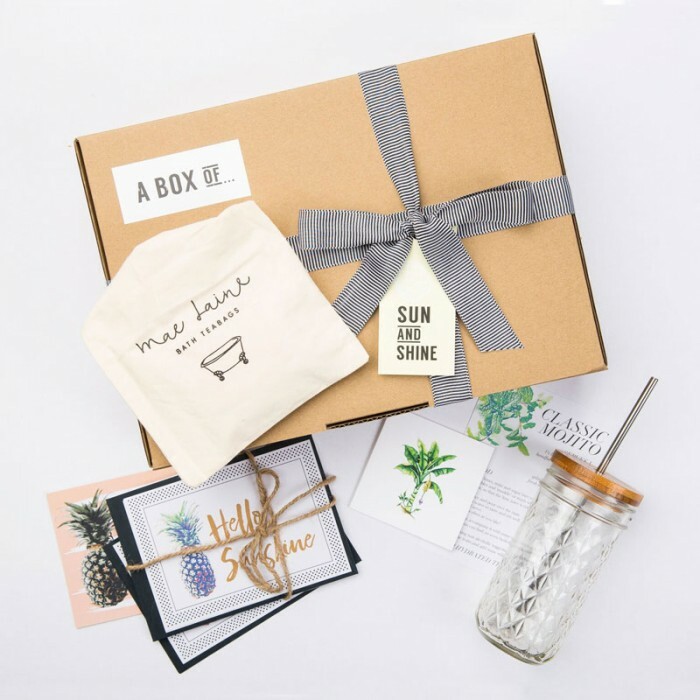 The products in the boxes have been sourced from North Queensland creatives and small businesses or from entrepreneurial women Australia wide. So A Box Of not only gives the recipient unbridled joy and a gorgeous, long lasting present but it also supports many small businesses across Australia. A Box Of… gifts are meaningful gifts that keep on giving long after they have been unwrapped. To get A Box of Sun and Shine delivered to your doorstep, all you have to do is tell me, what makes you happy? The giveaway has now closed. Congratulations to Deb from Inner Compass Designs who won the beautiful box of Sun & Shine. 1. There prize is one Box of Sunshine valued at $75. 2. This is is a game of creativity. Chance plays no part in determining the winner. Each entry will be individually judged and based upon individual creative merit. 3. The judge’s decision is final. 4. To be eligible you must leave a comment saying what makes you happy. 5. Only one entry per person. 7. The giveaway opens Tuesday 15 November 2016 and closes midnight Tuesday 29 November 2016. 8. The winners will be announced on the blog and notified via email.